It is a rare and thrilling experience for all lovers of nature. 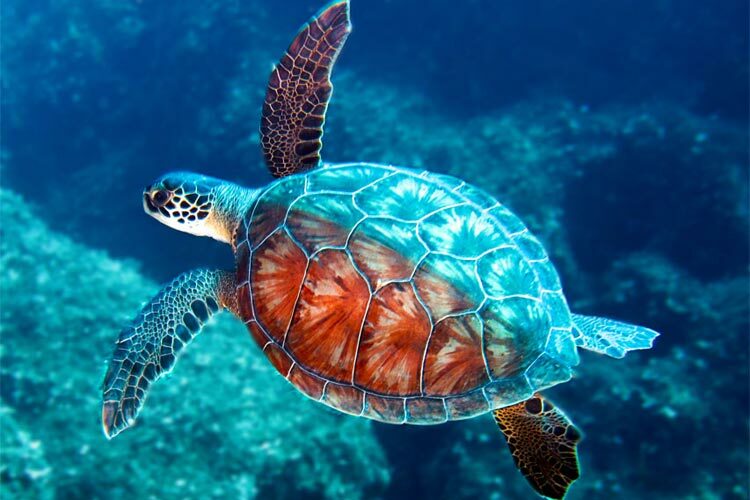 Nature lovers will be delighted at the opportunity to watch, under strict supervision, the giant sea turtles in North Cyprus emerge from the sea to lay eggs in the sand. A little later in the season is an even more dramatic event to witness when the newly hatched babies emerge and struggle to reach the sea. The sandy beaches of North Cyprus provide nesting sites for two species of turtles, the loggerhead, Caretta caretta, and the green marine turtle, Chelonia mydas. Both species have similar breeding habits and use the soft, sandy beaches for laying their eggs. Once dusk has arrived, the female emerges from the sea to climb up the beach to find a suitable location to deposit her eggs. Laboriously, she excavates with her flippers a cavity in the sand some 40 cm deep and lays up to 100 eggs the size of table tennis balls. After covering the eggs and leaving them to hatch in the warmth of the Mediterranean sun, the female returns to the sea. She may return two or three times at 12 -17 day intervals to lay more eggs. After incubating for around 50 days, the eggs hatch and the young start their perilous journey to the sea. Sadly, they have so many predators that only a small fraction ever survive to reach adulthood. Alagadi beach on the eastern side of Kyrenia offers the best location for observing the turtles. From the end of June onwards, it is possible to see the turtles laying eggs and later in the season, end of August onwards, the hatchlings on their journey to the sea. All this is under the control and guidance of the volunteers working for the Society for the Protection of Turtles in North Cyprus. Throughout the summer months, from May to August, and under the cover of darkness, the turtles crawl up the sandy beaches to lay their eggs in a deep pit in the sand. Around 50 days later the eggs hatch and the young, just after sunset, start their perilous journey to the sea. Night predators, especially fox, are a real threat to the young turtle on the journey to the sea. More predators await on reaching the sea and it is generally estimated that only one in a thousand of the young turtles reach adulthood. First, it is essential to visit the Goatshed at Alagadi beach to enquire when the event will take place and add your name to the list. Just turning up on the night may result in disappointment if there are too many people. At first you will be given information on the turtle project while the volunteers locate a nesting female. Only then will you be taken down in silence and allowed to observe. 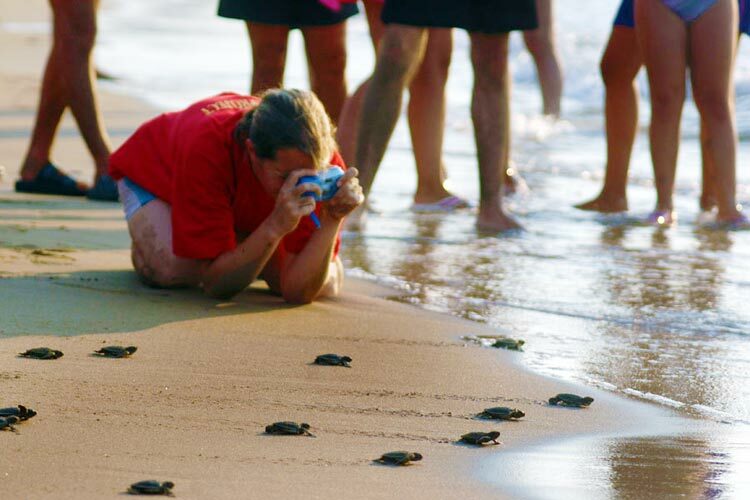 For nature lovers the spectacle of the young turtles emerging from their nests and struggling over the sand to reach the water is an experience of a lifetime. Fortunately, visitors are able to do this at Alagadi beach under the guidance of SPOT, the Society for the Protection of Turtles in North Cyprus. Alagadi beach is one of the main and most studied beaches for the turtles. SPOT, entirely run by volunteers, has an information shed there affectionately called the Goatshed. This is open during the afternoon and visitors wanting to see the emerging young turtles should book themselves a place. Just turning up in the evening might lead to disappointment. In an effort to protect the turtles, the Department of Environmental Protection has introduce measures between the months of May to October, prohibiting access to any beach between 10pm and 8am, as well as forbidding fires or lights on the beach and use of a speedboat within one mile of the shoreline. These safety measures also warn against throwing plastic bags into the sea, as the turtles can mistake them for jellyfish and die as they try to eat them. 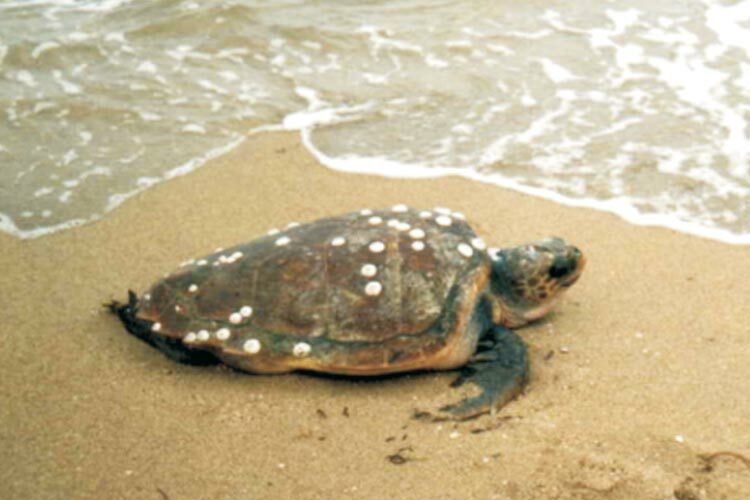 In the 2009 summer season, SPOT recorded a total 412 nests on all the beaches studied in the north, 243 of these were the loggerhead and 166 the green turtle. Alagadi beach accounted for 186 nests, 42 loggerhead and 112 green turtle. The monitoring and conservation of the turtles is carried out by SPOT with the support of the Department of Environmental Protection. All the work is voluntary and students from Britain and all over Europe have taken part. It is hard work but students wishing to take part can do so through the Marine Turtle Research Group.